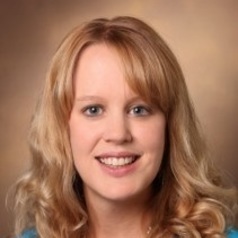 Kelly L. Haws (Ph.D., University of South Carolina) is Associate Professor of Marketing and Chancellor’s Faculty Fellow in the Owen Graduate School of Management, Vanderbilt University. Her research on consumer behavior, with an emphasis on self-control, financial and food decision making, and health, has appeared in numerous publications, including the Journal of Consumer Research, the Journal of Marketing Research, the Journal of Marketing, the Journal of Consumer Psychology, the Journal of Public Policy & Marketing, Management Science, the Journal of the Academy of Marketing Science, Appetite, the American Journal of Preventative Medicine and others. She is currently an Associate Editor at the Journal of the Academy of Marketing Science and an editorial review board member for the Journal of Consumer Research, the Journal of Consumer Psychology, and the Journal of Public Policy & Marketing. She was named a Young Scholar by the Marketing Science Institute in 2009, and in 2013, she was awarded the Early Career Award by the Association of Consumer Research.